The most beloved film of the TNG movie franchise, “Star Trek: First Contact” continues to delight the fan base and fandom at large. But the real questions are, did it age well, and should it still hold it’s place within the hearts of Trek fans? Though “Star Trek: Generations” was considered a success, having grossed 120 million at the box office, fan reception to the movie was rather bland. It was felt that Generations had had too much hype behind it with the historic meeting of Captain James T Kirk and Captain Jean-Luc Picard and really didn’t deliver what it had promised. That being said it became very clear that there would be another movie thanks to the devoted fans that got the box office receipts up to the afore mention 120 million collars. So in 1995 Paramount Pictures approached then TNG Producer Rick Berman to begin the next instalment of the beloved movie franchise. And thus First Contact was born. Written by Ronald D Moore and Brandon Braga, First Contact would see Veteran TNG actor Jonathan Frakes taking the directors chair and making a movie that would not only thrill the fan base but get back to the heart of what TNG was all about great story development. 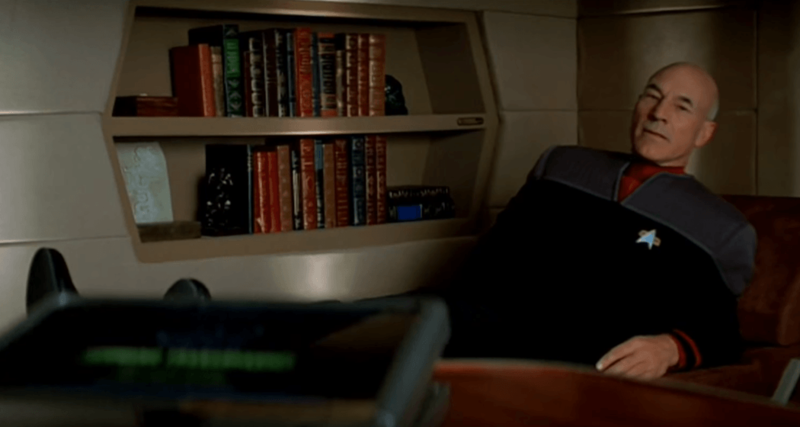 So the movie begins with the old writers chestnut, the fake out… Picard is suddenly uneasy as he is having nightmares about his time with Borg, then supposedly wakes up and then BAM, tricked you… it was actually a dream within a dream. Picard wakes up to Starfleet calling him to let him know the Borg are on their way to Earth again, but having just had the nightmare, Picard already knows it. Then the big reveal, the Enterprise E debuts on Screen. A beautiful and powerful looking ship design by John Eaves, the Enterprise E shows us the difference between a starship designed for a movie and a starship designed for a TV show, it should be noted that all though only on screen for its reveal for a short time, the reveal garners the same feelings of awe that the reveal of the refit Enterprise in Star Trek the Motion Picture did but at a fraction of the time. So the Next seen is the hit to Picard’s (and the audiences) gut when we find out the Enterprise hasn’t been invited to the Borg Welcome to Sector 001 but instead is off to watch dust in the Neutral Zone , a scene later Picard explains to Riker that Starfleet has said no thanks, Picard because they don’t have faith in Picard’s mental stability when dealing with the Borg. 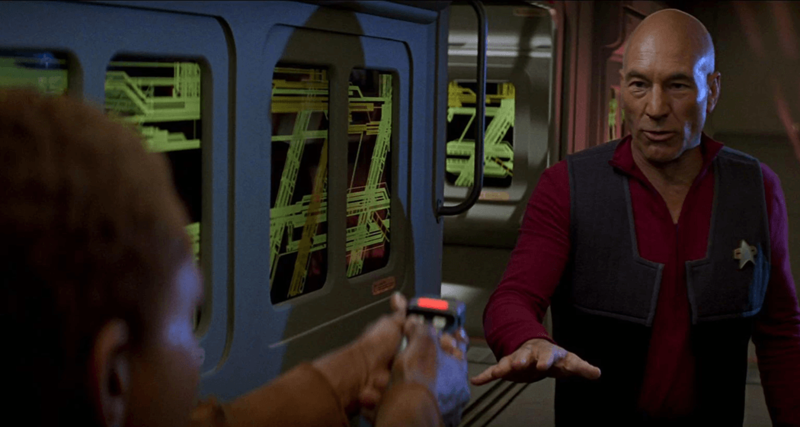 Back on the bridge, we get to hear the audio transmission of the battle, which was a great choice… Not having a visual for the audience to see helps create the tension and the sense of helplessness Picard is feeling. 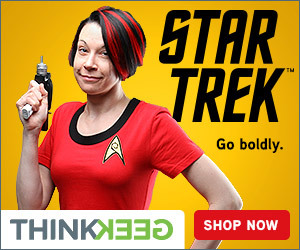 and eventually, this leads to Picard saying to hell with it and Warping to earth. Once there we see the USS Defiant valiantly fighting, but ultimately failing against the Borg Cube. 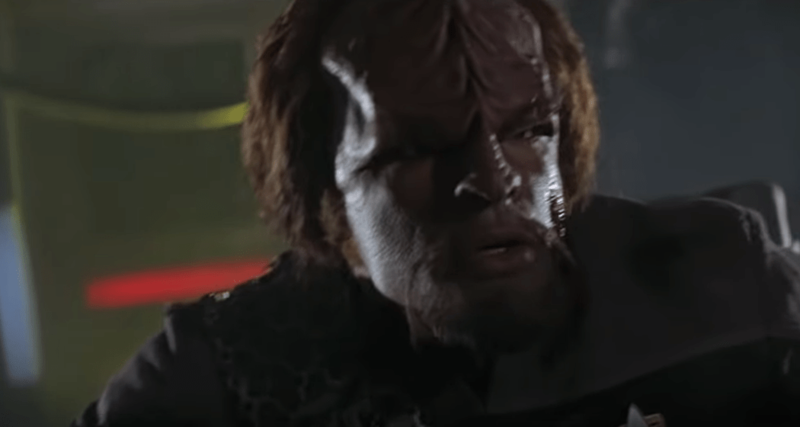 With little option left Worf once again decides to is a good day to die but before initiating his kamikaze run, the Enterprise E shows up and save the ships day. Anyhow, Picard realizes the Borg are having a few issues themselves and with that information Picard takes command of the fleet and gives the order to use his intel to blow the Borg out of the Sky and the happy fleet succeeds… only one problem though, a Borg Sphere escapes the cube and rushes towards Earth creating some type of temporal vortex which ultimately leads to the past being changed and the Enterprise going back in time to stop them from doing whatever it was they had done. Once back in time our intrepid crew find out that the Borg were attempting to prevent First Contact, the most important meeting of the human race. The one that would alter humanity into an evolved space-faring society. Well, Picard can’t just sit by and let this happen, so with a few torpedoes the Enterprise takes out the Sphere and Picard and landing party dressed in Macy’s best beige fall line beam down in search of Zephram Cochrane the inventor of warp drive and the Phoenix, the first human vessel able to achieve warp. After feeling up the Phoenix for awhile Picard and Data are attacked by Lily, one of Cochrane’s cohorts and after she is rendered unconscious they find out that radiation is being emitted by the damaged vessel and that in order to save Lily, Crusher must beam her up to sickbay. No worries though Picard, what could go wrong? Next up, surprise reveal… Engineering is getting hot when LaForge beams down and we soon find out that the Borg weren’t all destroyed on the Sphere, that some beamed over and they are attempting to take the ship to complete their nefarious mission. We also get a scene where the Sickbay doors suddenly don’t work and something seems to be trying to break in. Picard and Data beam up to the ship after Picard’s Wifi is turned on again and buying sometime Data ends up locking out the main computer core, preventing the Borg from controlling the ships command functions. So waking up Lily, Crusher attempts to get everyone out of Sickbay safely by using the EMH as a diversion. 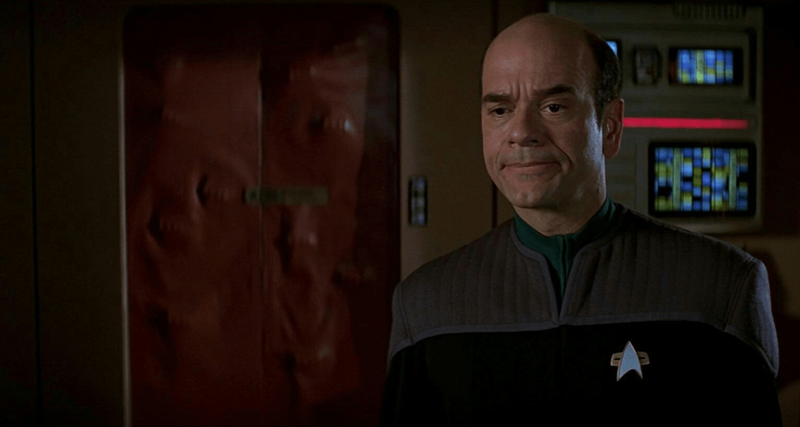 once again Robert Picardo reprises his role as the EMH and as usual, steals the scene with his excellent comedic timing. With everything going on, Crusher doesn’t notice that Lily has escaped her grasp and is now free roaming the ship. The attack on engineering doesn’t go well at all and Data is captured, while the rest of the team escapes, mostly intact except for Ensign Nobody who Picard graciously murders. Then Picard himself is captured by Lily. There’s an odd moment here where Lily asks what faction Picard is with and he says he’s not a member of the Eastern Coalition. I can only surmise a few lines were cut out of there. Something like Picard saying coalitions? What do you mean? and Lily listing them off referencing the eastern Coalition that had started world war 3 and was ultimately defeated though leaving the Earth in ruins. Anyhow off they go for an adventure. And all the while on the surface Riker convinces Cochrane that they’re from the future ready to help him with his date with Destiny. More shots of the Borg taking over the ship and the ineffective ensign nobodies of the lower decks not knowing what to do with the phasers and then we find out that the Borg aren’t really doing much anymore and this has Worf’s spider senses tingling. Poor Unimportant Chief Security is sent off the bridge to a checkpoint. While Worf and Hawk attempt to Nancy Drew the situation. Convincing Lily that he inst her enemy with some stellar logic and visual proof, We head back to data, who is having a tate a tate with the Borg queen, apparently the one that brings order to the chaos for the Borg, which is Cryptic and meaningless but ok, and we find she’s trying to get Data on her side by giving him what he’s always wanted (I guess) human flesh. 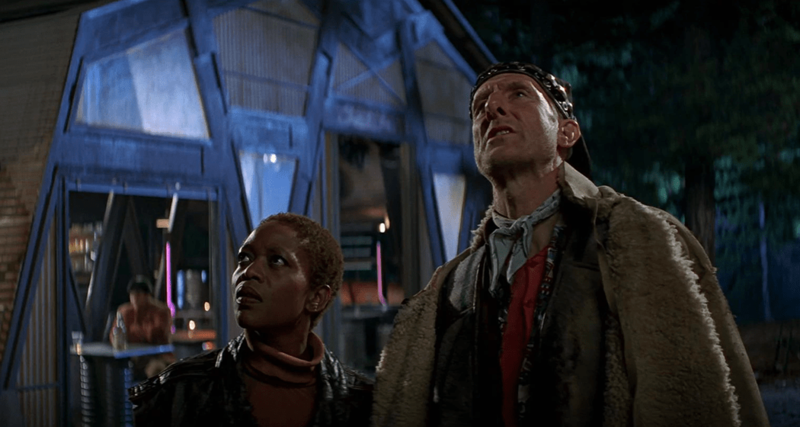 And with that, we come to the conclusion of part 1 of my review of Star Trek First Contact. 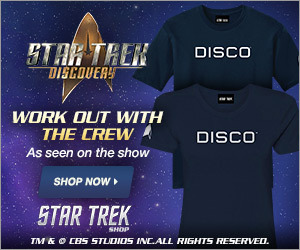 Thank you for watching and hope you’re enjoying this “Trek” so far, see what I did there? Have something you’d like to add? Well leave a comment in the section below and don’t forget to like and subscribe to the channel so you don’t miss a single video we release. Stay tuned next week Monday for Part 2, and until then, Live long and Prosper!